Born in Pakistan, Dr. Sohail immigrated to Ottawa, with his family at the age of nine. Recognizing in himself a passion for health care at a very young age, he pursued an Honours Bachelor of Science with a specialization in Biochemistry at the University of Ottawa. 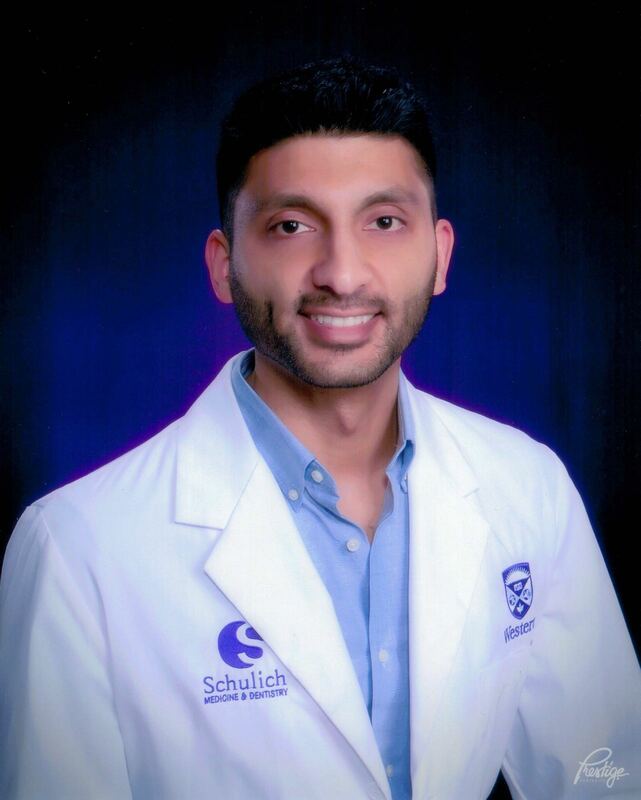 Dr. Sohail continued on to the Schulich School of Medicine and Dentistry at Western University, where he completed his Doctorate of Dental Surgery and maintained a consistent position on the Dean’s Honor list. He also received the Canadian Academy of Periodontology award for achieving the highest standing in the field of Periodontics. With a strong sense of community, Dr. Sohail has been involved in the Oral Health Total Health organization and the Dental Outreach Community Services program, providing health care education and motivation to patients with special needs. Not only does he speak English, Dr. Sohail also speaks Urdu, Hindi and Punjabi! Dr. Sohail strives to provide quality care and ensure that patients are provided with a pleasant experience at the dental office. He is trained in providing nitrous oxide and oral sedation to patients with dental anxiety and is committed to a lifelong journey of continued education to further enhance his knowledge and skills.